What began in 1986 as a microbrewery turning out 1,500 barrels of beer in little Abita Springs has grown to today be the nation’s 14th largest craft brewery with an annual output of more than 150,000 barrels and sales across the country. A lot has changed. And a lot hasn’t. Abita beer still starts with the deep, pristine spring waters the town is named for and that water is not altered in any way. There are no additives or preservatives in Abita’s brews. Despite its now substantial size, Abita also is one of the most green-friendly breweries in the country, using modern technologies to use 70% less energy than traditional brewing methods. The brewery has eight flagship beers available year-round – Amber, Turbodog, Purple Haze and Wrought Iron I.P.A., among them – as well as producing seasonal beers such as Mardi Gras Bock and Christmas Ale; specialty beers, Harvest and Select brews. 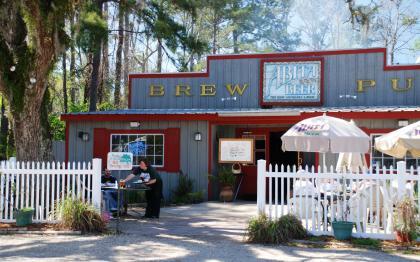 Abita Brewery began in a small building in the heart of Abita Springs now known as the Abita Brew Pub. The pub is still a great place to order a flight of Abita beers and see what the fuss is all about. But the brewing operation outgrew the space in the early ‘90s and moved a mile or so down the road. The brewery has become one of the Northshore’s biggest tourist attractions, as fans from all over make the pilgrimage for tours. 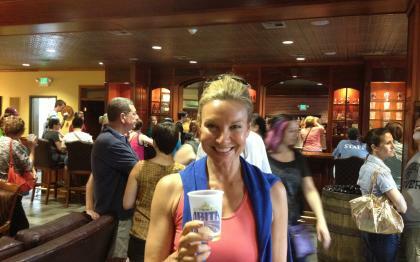 Abita Brewery recently expanded its visitor center and now offers guided and self-guided tours. The guided tours cost $5 and include four 4-oz tastings. Self-guided tours are free and though they don’t include tastings, you can purchase a pint in the tap room. The brewery’s gift shop has great Abita-themed merchandise, including glassware, barware and clothing items.